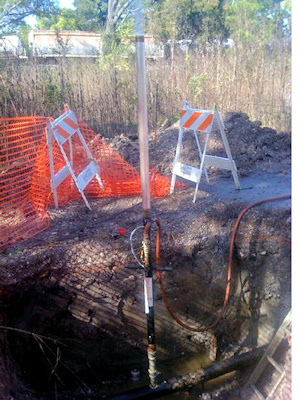 Rapid, simple, and safe purge operation for decommissioned mains. The unit uses the air supply from a compressor to create a powerful venturi effect to evacuate any gas from a main. 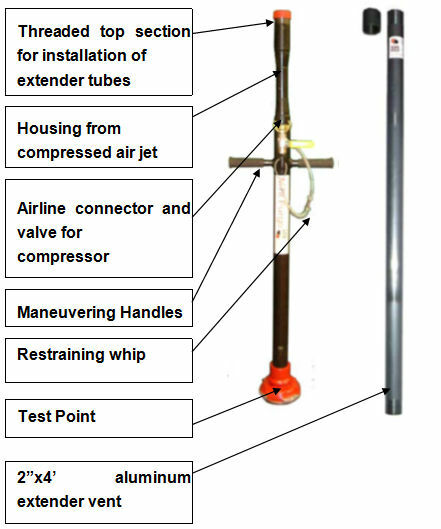 Capable of purging very long grid sections of mains with multiple combinations of pipe diameters in a very short time without creating turbulence or without the need of introducing an inert gas. Typical ability to purge over 4000' of 8" diameter main in about 11 minutes. No need for expensive & slow moving inert gas. Use with existing air compressor. Fit Mini-Purge to main using ALH System-1 machine or other method. Stop operation and remove Mini Purge from main.